The first time I took herbs was when I was about 12 years old. Except the bitter taste, I can’t remember anything. In fact, it wasn’t until 2002 that I first met the renowned Chinese acupuncturist, 73 year old Dr. Zhao Fang and discovered my passion for Chinese medicine. We were chatting about health stuff randomly when she told me "you have Qi (vital energy) and blood deficiency." I was so surprised at what she said that I kept on asking why and how did she could so confidently determine my health condition without even touching me! She said that she could see it from my face! How amazing that is! From then on, she acted like a huge magnetic stone, attracting me wherever she went. I loved hearing every single word she said. As she treated me with acupuncture, she would describe to me the basics of Chinese herbalism, like how the hierarchy herbs formula divides herbs into "Chief/King", "Deputy", "Assistant", and "Envoy"; how Huang Qi (Radix Astargali) is important to elderly people; how amazing result will be just using one Da Zhui acupuncture point for fever and allergy; how cold herbs can hurt patients especially skin diseases patients. I was so intrigued by this oriental discipline that I started watching Chinese Medicine seriously on CCTV and reading herbal textbooks such as <<Yellow Emperor>> and <<Single Herbs Functions>>. In early 2008, I got into AOMA to study acupuncture. The next summer, I went to Beijing to follow Dr. Zhao for clinic observation. 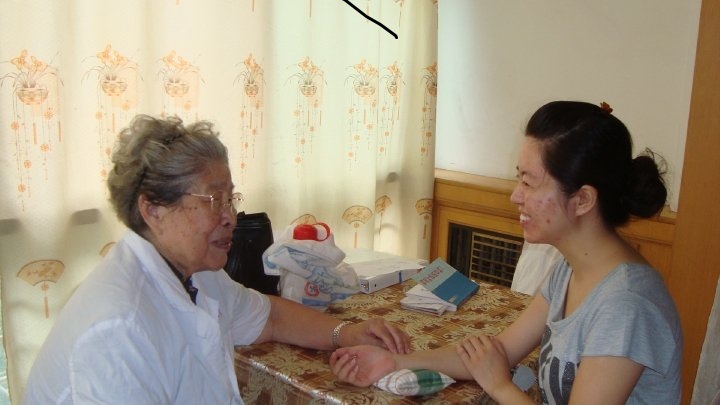 Under her patient and incredible guidance, I began to pick up the nuances of effective acupuncture technique that eventually lead me not only be able to treat different kind of diseases efficiently, it also leads me to my specialization in treating skin diseases. After successful treatment and awe-inspired response to her skills, she would remind me that her goal was always to "cure*" the patient, rather than simply treat the symptoms; by "cure*" she meant preventing the disease from ever coming back or at least preventing relapse for three years. I am so thankful to have had such a fantastic master who's enabled me to yield some amazing results of my own in my clinical practice. 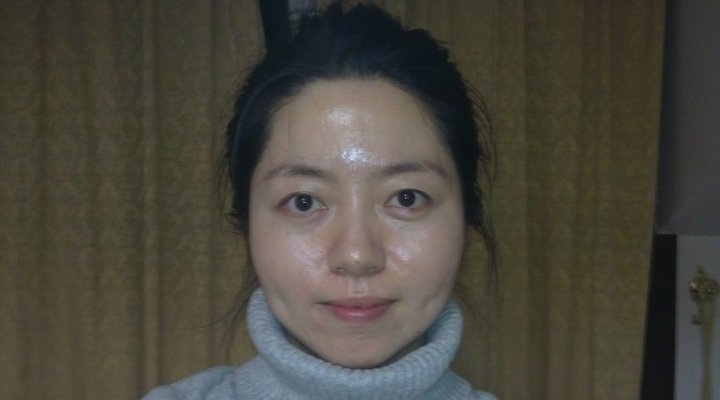 Zhao Fang, Skin diseases and infertility specialist; Fellow of Chinese association for science and technology; Director of acupuncture dermatology department in Beijing HePinMen hospital, is especially good at using Moxabustion to treat chronic diseases. Her treatment philosophy is to think about strength body all the time while you treat chronic diseases. After treatments, most of her patients notice not only that their diseases are gone but also that their bodies feel stronger and more resistant than before. Patient's acnes on face before treatment. After few month's treatments, acnes gone.
. I followed him in his private clinic for more than four year, observing his practice and studying his herbal formulas. Believe it or not, the treatment strategy of my these two great teachers is extremely similar, They both focus on the strength of the body and long term benefit patients. This is exactly the attitude with which I treat my patients.